It’s Tuesday and time for tip of the week. Toast is a great comfort food, simple but effective with tea, coffee, hot chocolate, wine or beer . Toast goes with anything and is (in my opinion) best with butter. 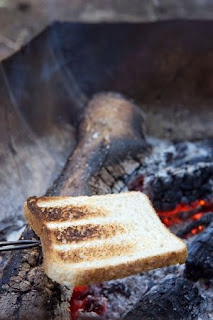 When camping bread is an easy food to keep to hand, both simple to store, and filling for adult and child alike. The butter can be more tricky, particularly if you are without electricity, but it will keep cool in a cool box assuming you have regular ice block changes or bung a bag of ice (£1 a bag at supermarkets) in it each day. Toast is nice as a base for baked beans or eggs too. And can be eaten with marmite, or jam or marmalade or honey (all of which keep well without refrigeration). Thick slices are best when camping as they are less likely to break during storage and cooking. A little gem has appeared and become an instant favourite on my 'things to take when I go out' list. Small and easy to fit in my bag a bottle of Aquaint has replaced a previously carried bottle of alcohol based hand gel. Aquaint's claims made me initially think it must be too good to be true! Kills 99.9% of all sorts of horrors, can be used on babies and children (from birth! ), isn't dangerous if ingested, can be used to clean 'things' as well as hands, dummies, rattles, (so if anyone throws their toys out of the pram they can go right back in after a quick spray and wipe) plates (perfect when camping as I often leave things to dry in the sun where flies no doubt have a wander!) and even fruit! 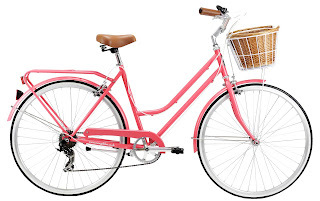 A few years ago when I wanted a new bike I decided that as an older, more sensible a more stylish woman I needed a lovely ladies bike with a wicker basket. It took a lot of searching to get one that was under £300 and looked nice but I found one eventually. I try to go out cycling with the family when I can because it's such a nice way to travel. So I was both delighted and mildly annoyed to see these gorgeous Mango bikes available in the UK in a simply beautiful range of colours for only £279.99. If you are after a bike for the summer, with somewhere to carry your strawberries, cream champagne and picnic blanket I think this might be the one! Which colour would you go for? Hard to choose as they are so pretty. I think though that the green is rather gorgeous. I can just see it, whizzing me down a country lane with my gingham skirt blowing in the breeze. With 7 gears I might even make it up the next hill too. Welcome once again to the thought of food! Yes it's Outdoor eating time! 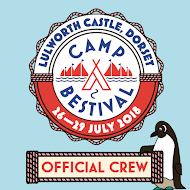 If you are around and not at Glastonbury I hope you've managed to blog an outdoor eating experience or a recipe that would work well as outdoor or camping food. Please link up below, grab the badge and comment on one or two of the other linked blogs. Thanks. If you haven't a blog post to link up I'd still love a comment and maybe you could share the link? The fact that so many festival types will be at Glastonbury this week made me think of the fabulous food we ate when we were there. Fond memories of pulled pork baps in the rain, eaten sheltering by the sausage van. Fishfinger sandwiches in the sunshine, soup from the Soup Library, a welcome return to the Strumpets with Crumpets and of course cake and pies! Where ever you've been eating I hope it was memorable. See you next week! Bring your own serviettes. From 12-13 September, Kidzapalooza will be turning Tempelhof Airport into a children’s wonderland full of surprises and amazing encounters. This one-of-a-kind experience, presented by Lollapalooza Berlin is an exciting family adventure that can’t be found anywhere else in Europe. 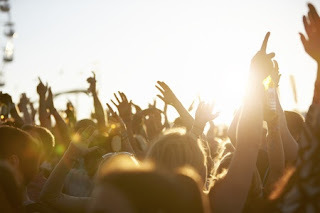 The European premier of the Lollapalooza Berlin is expanding its program for young festival fans between the ages of 0 and 14. "Kidzapalooza will be a world where fantasy and creativity know no limits,” Fruzsina Szép, festival head. 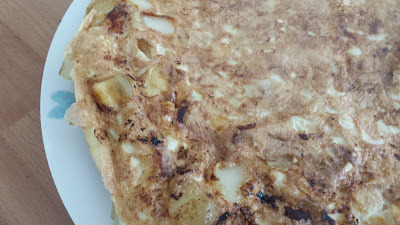 I use a 27cm Frying pan with a glass lid, the lid lets you gently soften the potatoes and onions in their own steam, but an open frying pan works well too. First peel about 4 medium sized potatoes and cube them into approximately 1cm cubes. Also peel and chunkily dice a couple of sweet onions. I crush some garlic to add too – your call on the garlic though. Heat 1 tablespoon of olive oil in the pan, and add the potato, heat gently on a low heat you don’t want to burn them) for several minutes, turning regularly. As the potato begins to soften add the onion (and garlic if you are using it) stir them in and continue to lightly heat them, this is where I use the lid. I had hoped to eat outside with the family last weekend, either in a pub garden (yes that counts) or a picnic in the countryside. But DD’s sudden exit to a festival changed our plans and hubby and I had a lazy day buying some plants, blogging and snoozing instead. I did drink margaritas in the garden, but I’m not sure that warrants a whole blog post. 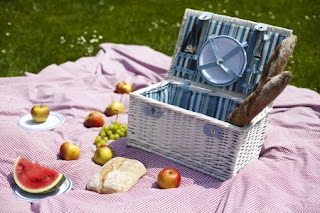 This weekend I would like to eat outside, I’m hoping the weather will be good enough for us to pitch the tent and get painting it, and that would be a good excuse to spread a blanket out and have a picnic on the lawn. Food eaten outside always tastes nicer, and it’s not hard to organise, especially in your own garden! I will be buying a bag of ice for £1 at the local supermarket and filling the cool box with water, ice and cans of J2O, ginger beer, actual beer and gin and tonics. Today is the first day of a regular linky (I know! Exciting huh!) in which you can link up an outdoor food related post. You don’t need to be a camper or have a camping blog, or a food blog, you just need a recipe or story on a blog post that relates to food eaten outside. Maybe you had a family barbecue? Maybe you have a great one pot chilli recipe, or a cool new way to make s’mores. Did you have a picnic? Or have a great sandwich recipe that travels well? We need to know!